What is the pricing difference between Jawa and RE 350? also which one is better in performance? what is RE doing to fill the gaps in performance? By when would new RE models to come into production? and for those models when would RE start booking? what are the initial reviews for Jawa bike? 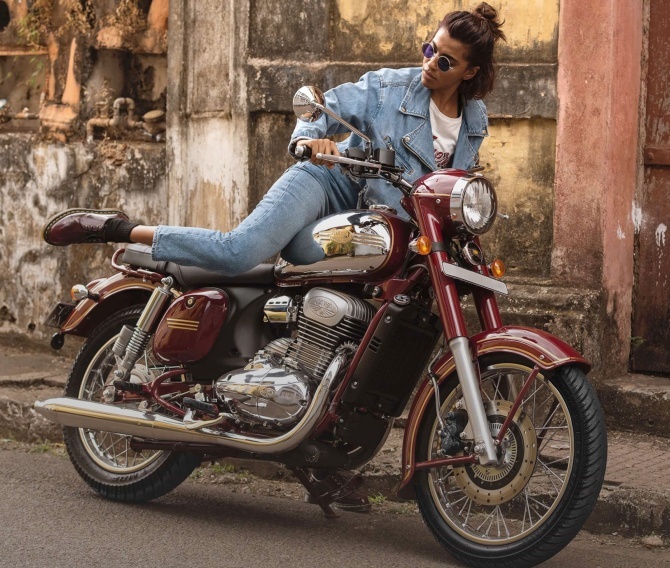 Since Jawa is completely sold out till July 2019, can RE start discounting to sell older models. if they start discounting, then what would be volume increase and impact on margins on account of discounts? Does Jawa providing a better financing options? is there any difference in profile of customers? what would Jan volumes look like for RE? would there be Jawa impact or is there a genuine brand fatigue? Eicher has been excellent learning and as well equally rewarding investment for me. While I continue to like fundamental of business, i…e long way of premiumisation in Indian bike, Constant engagement of Top managment with consumer, New product launches at appropriate time; there are some headwinds which industy in general, and Eicher in partcularly facing. The increasing competition and luming uncertainity of E-Bikes (with governement action in last 2-3 years directing to its preference of Ebikes), henceforth Eicher growth would be more dependent on New Twin success. Further, higher base is also likely to catch up and new volume growth may range in 10-15% in medium term based on new product launchs success of the company. Since allocation to Eicher was singificantly high in my personal portfolio to begin with (at peak almost 28% in March 2016, which was systematiically reduced to 23% in March 2017, to 16% in March 2018 and around 9% as on Feb 8 2019), I have sold my holding systamatically over last 4 years to bring it below double digit. I continue to like business and also developed my holding bias for Eicher. It was very difficult for me to sell Eicher shares in last couple of months and bring my allocation to 9%. While I intend to hold Eicher for very long term, I may further change my allocation by couple of percent in next 6-12 months. Since I was regular contributor to thread, I thought it would be good to share my deal details to the forum. I have learnt a lot from members, personally from @KS16, @rajpanda and @sammy11. I am not at all negative about Eicher, but could not find reasons to keep it with more than 20% allocations in my portfolio. The last trache reduction in Eicher has been replaced by very expensive 3M India in my personal portfolio which is around 4.5% allocation in my current portfolio. Discl: I am not SEBI Registered investment Advisor and I am not recommeding any investment actions to investors. Investor shall do their own due diligence before making any investment. My view may be biased due to my investment in Eicher and 3M India. Very gracious of you to say about the learning Dhiraj. Its usually the other way around. I have reduced my Eicher qty, now to insignificant levels. At the best of times, I made 2-2.5X in this stock and it was the best learning experience from the likes of Dhiraj. My journey into this stock was almost fairy tale (I attended one of those sessions of Motilal Oswal’s Ramdeo Agarwal and heard his oft quoted ‘buy right, sit tight’ session, in person; after that, I went to BLR to visit a client and I recollected the session and went to the parking lot to see the composition of vehicles. I was stunned to see the amount of new RE bikes (it was a typical IT co. staff parking lot) and bought the stock, in the next few days, after some more diligence. It has been a gr8 journey. I expected a quick revival in the Truck/bus/ segments but it is taking its time. I have now reduced it to just a tracking qty. Good to hear your experience with reducing stake in Eicher. Eicher was at 65 PE when I first bought. I sold at 35 PE but still made 3X and 33% CAGR in 4 years. Learning here was PE de-rating does not happen overnight. If the business and management quality is good, market gives few quarters time to stock and de-rates slowly. Investor can choose to get out in this period if he wishes to. If market de-rates a stock, it tells you something. Keep investigating more and check your thesis again. Eicher sales volume growth reduced from 25% to 20 and 10% in 2018. First thought reasons were strike at factory, mandatory 5 year insurance, overall industry slowdown etc. But once I did the scuttlebutt, it was apparent that demand side issues were there. The waiting period which was 3-6 months earlier was 15 days to zero. Throughout these 4 years, this waiting period was big metric that I had focused on. This coupled with low/zero volume growth for 3 consecutive months and I knew the growth would not come back to previous levels. After July-Aug 2018, the Eicher story was clear. If you were okay with 10% volume growth and 15% sales growth, it was worth holding. For me, there were better opportunities and I exited. Rs. 2,341 crore, compared to Rs. 2,269 crores in the same period last year; EBITDA was Rs. 680 crores, down by 4% compared to Rs 707 crores in the same period last year; Profit After Tax grew by 2% to Rs. 533 crores from Rs. 521 crores in the same period last year. 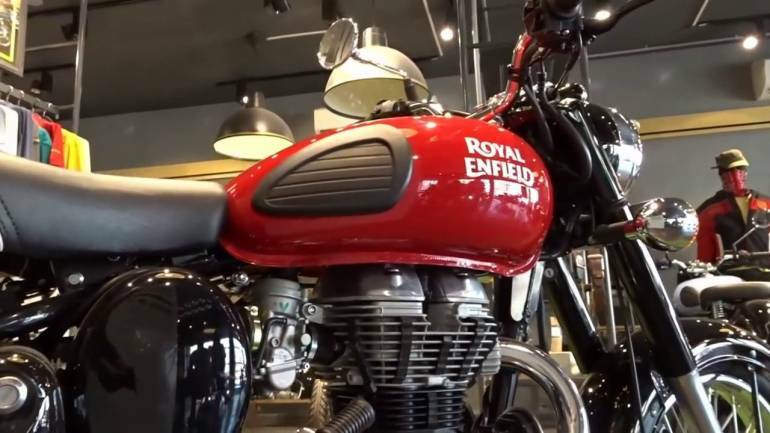 Royal Enfield sold 193,871 motorcycles in the quarter, registering a decline of 6% from 202,736 motorcycles sold in the same period last year. Nirmal K Minda of Minda Industries is also one of them. @dd1474 @nikrod12 thanks for posting your experiences. Your posts reconfirm that for strong companies with expensive valuation, sell decision turns out to be more important that buy decision. Buying is easy, as market has already validated the quality quotient. Selling requires some work. Irony is that people take comfort in high quality and plan on holding it forever. Appreciate your view. However, there are some merit in other side of view as well. In fact, buy and hold for long time would good quality companes portfolio, even at higher valuation, as a portfolio very good return. At this point of time, when Eicher is 20,000/-, it appear that buy and hold was not valid approach. But when prices are 35,000/-, it would be different story. In my opinion, return in share market are like cutting running river in two part, one entry and other exit. In summar, in same area, the water we would get would be significantly different then in rainy season. So, at this point of time, what you are saying is abosultely right, but with time, things would change, in my opinion. The limited learning for me is that high valuation in short period (less than 3 years) has very low probability of very high return. However, if your horizon is 10 years, it may be different story. @Yogesh_s . I agree with you. But the question is what are the alternate options?. Lets compare to something in the same sector. Hero motors. This is way cheaper than eicher ( I mean on PE basis) Business wise it hasn’t done any better in the last year. As for the stock price, its down from 52 week low is 31%. Eicher down by 36%. Hero up by 4% from 52 week low. Eicher up by 10% from 52 week low. So there isnt much difference despite a huge difference in PE. Now lets look at eicher’s highest ever PE. Its 78 on the 22 of June 2015. Lets assume someone bought at that PE. Eicher price was 19363. Current price is still above that price. Hero PE was 21 at a price of 2544. And current price is 2679. Not much difference in price. Let’s focus on Eicher guys. If we can get the business right, valuations will follow. There are too many variables here and if we get a few of them right, we could laugh all the way to the bank. Classic 350 worked well for RE but they cannot survive solely on that. How will new launches take off is a question we must be asking. 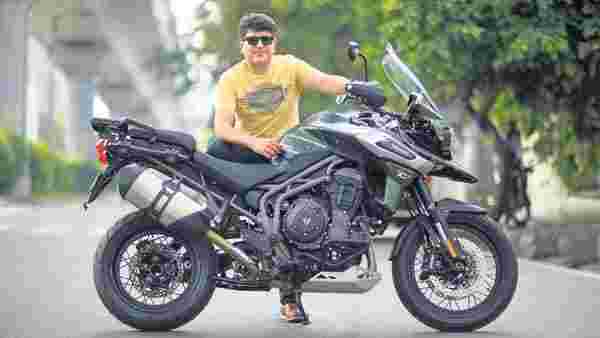 Interceptor may be the only saving grace apart from may be the Himalayan 650 for the overseas market . How well will it fit in UK or USA? Did you guys notice a sudden surge of reviews on Himalayan from overseas YouTubers? Will the 650 fill the gap? How will interceptor manage outside india? Can interceptor sell in India and if there is a market at that price point for a RE? All these questions need answers and if someone can get it right, we can make a big difference to the outcome. Commenting just on the RE part, there is potential to grow in the domestic market still and the new segment of international markets. For India, rate of growth is debatable but can assign a 10-15 percent volume growth over the next 5 years. (Depends on the capacity expansion and the demand from less explored geographies among other factors). RE still enjoys its brand value and production capabilities. Margins/sales might remain same or lesser in the short term due to competition/ BS VI, but should catch up over the long run. The way RE has designed its bikes is that it gives the owner a satisfaction of owning a premium brand above 250cc which is comfortable for long rides as well as daily commutes without being cumbersome and is durable with a superb resale value. This, IMO has given it an edge. Moreover, by the introduction of twins at the price point of approx. 3L, they have created for themselves a market for not just new RE customers but the existing ones as well. For the approx 20L bikes sold in the past few years, RE 650cc and above is going to be a strong consideration when they decide to upgrade. Note- This may be a strong bias from me because I own a bullet and have been very satisfied with it and will definitely want to upgrade to another RE in a few years. There is certainly an existing RE base which is not very satisfied with the maintenance issues and costs and they might not want to own another RE. This management’s work over the last 10 years has been phenomenal. They were able to scale superbly with a healthy balance sheet, while introducing new models. It is this work that gives confidence to me/blinds me that they are going to strive hard to create RE a global brand. Siddhartha Lal has emphasized their objective of taking RE at the global level and their efforts are being streamlined towards the same. The scale of opportunity that is there 7-8 years from now on the global front is high but the exact figure is unclear. 5,00,000 to 10,00,000 bikes is what some of the reports/Lal’s interviews say. The emphasis is also clearly expressed in the launches of the 650 twins and their pipeline. 1.How well can RE penetrate the markets it has identified? 2. What could be the impact of EV transitions? 3. How would competition react? 4. What would be the realisations? Note - RE doesn’t enjoy the brand globally the way it does in India. So it’s all a big if. I am willing to add more at dips as the story unfolds with the downside protection of maybe just a 10-12% return over the next 7-10 years but with a decent upside if RE does manage to be present globally at the scale they are envisioning and also if they play well the premiumisation trend in India. Have not considered CV segment’s growth of earnings. Anything it adds is a bonus/margin of safety. Disc - Invested recently at avg 21,000 levels. I also own a bullet. Hence, views maybe biased. Not a recommendation. Prior to joining Royal Enfield, Dasari was the CEO and managing director of Ashok Leyland, a position he held since 2011. He joined Ashok Leyland as the CEO in 2005. 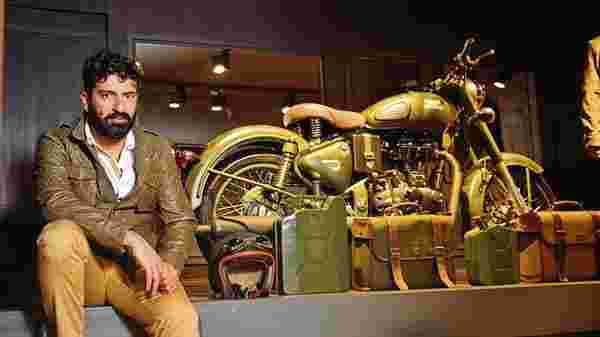 Royal Enfield-maker Eicher Motors Ltd. saw monthly sales in March decline 20 percent to 60,831 units. Sales of models with engine capacity up to 350cc fell 21 percent. Sales of models with engine capacity over 350cc fell 11 percent. This is a sub 1% yearly growth for the FY numbers. Quite poor. Seems like the 2 wheeler industry is at the trough of the cycle.